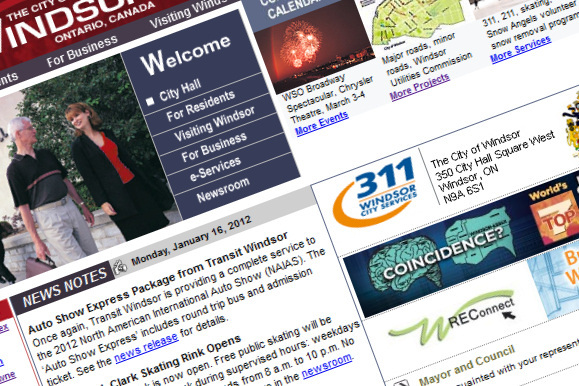 The City of Windsor will begin using social networks such as Facebook, Twitter, YouTube and Flickr as “an additional way to collaborate with the public” if a Social Media Policy is approved by the City Council next week. The City surveyed 21 other municipalities in Canada last year and found that 19 of them were utilizing Facebook and Twitter to varying degrees. The City plans to use Social media to increase awareness of municipal services, allow for customer comments, and send out information to the “walls” of citizens rather than rely on citizens visiting the City’s website for updates, among other plusses. Using Social Media the City plans to “develop trust and humanize the City” by “being present and open to discussion with residents in a medium in which they feel comfortable”.